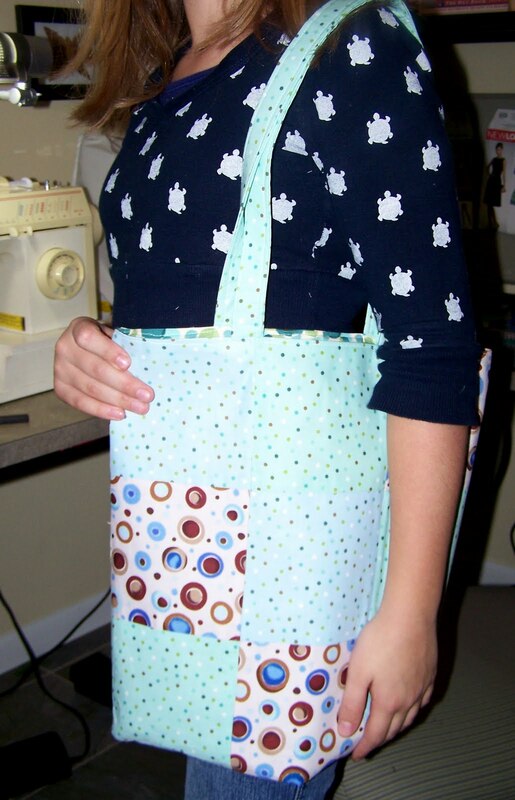 I have been teaching beginning sewing lessons in my home recently. I have had several wonderful students. This week’s student shows great promise. She came to me having already created items on her own. The purpose of our lesson was to get acquainted with selecting a pattern and fabric, and completing a project by using a pattern, including layout, cutting, sewing and pressing. She did a fantastic job! My student selected is this tote pattern. Simplicity also has some “Learn to Sew Patterns” here. How wonderful! 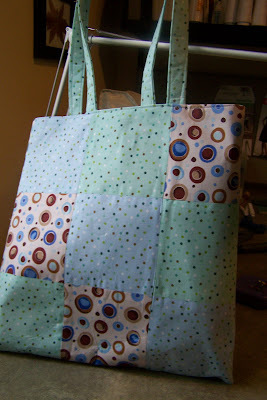 The bag looks great, I like the fabric she picked out. Isn’t it gratifying to teach someone a craft? I taught knitting to kids for a while and the joy they found in learning to knit made me so happy. What a reward to see someone use the skills you taught them! Darling bag! We love to see talented people share their skills with others… hopefully creativity will never go out of style!